Convenience stores as the name suggests are convenient. Most in Japan carry very similar stuff with some minor variations in branding. But the variety of stuff is extraordinary. From fresh sandwiches to photocopying to hot snacks and booze. 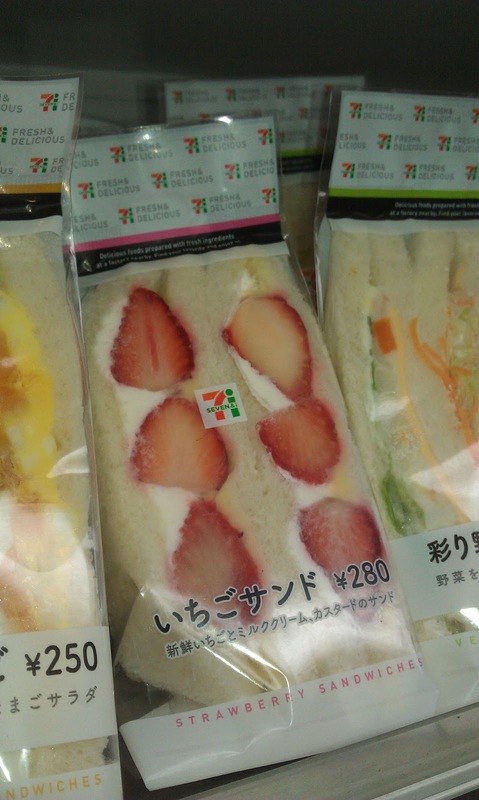 The sandwiches are always fresh and, shall we say, interesting. Strawberries and cream sandwiches anyone? 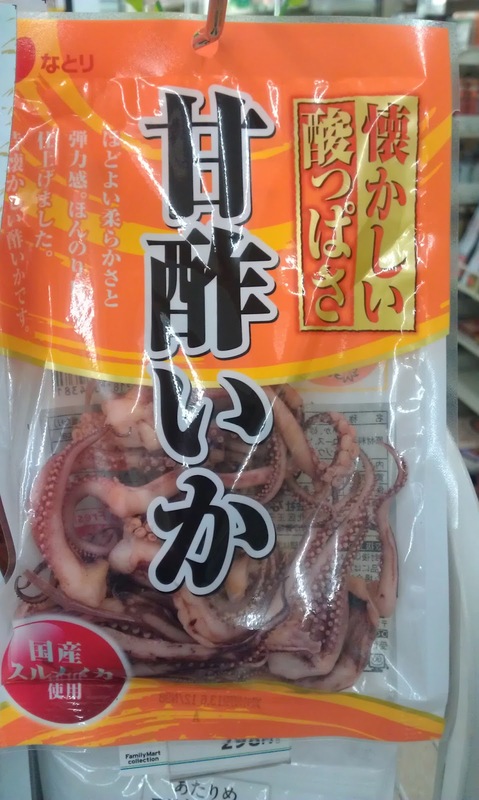 Octopus - preserved or dried somehow? 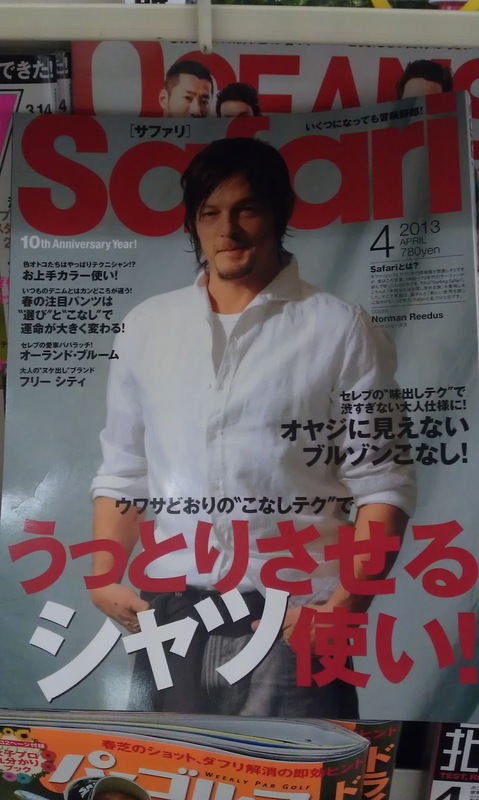 Daryl Dixon sans crossbow on the cover of a fashion magazine... I think it was a fashion magazine.